The christian God is not reported to have resurrected anyone before this. “To make the claim that a bodily resurrection of Jesus is more plausible than any natural explanation, Christians need to prove that the odds of grave robbery and vivid dreams confused with reality occurred less often in first century Palestine than a never heard of before resurrection.” This isn’t the case. Therefore “the Christian argument has been disproved”. How good is this argument? It is true that natural explanations have been offered, including the two mentioned here. But it isn’t clear that any of these are very plausible explanations of the full set of events which followed. Certainly, many christian apologists have argued that none of these so called explanations go anywhere near explaining the historical evidence (the empty tomb, the resurrection appearances, the change in the disciples, the subsequent growth of the church, the arguments used against the christians by their opponents, and the fact that no-one ever recanted their belief in the resurrection). Most anti-resurrection arguments entail the disciples deliberately lying or being collectively deluded, which, it is argued, are extremely unlikely. Christians argue that the historical evidence would be decisive if it didn’t lead to a supernatural conclusion. Debaters such as WL Craig and Gary Habermas have successfully defended the historicity of the resurrection against formidable sceptical opponents. Of course sceptics have argued contrary to these claims. But we can at least conclude that this premise requires a case to be made, and cannot be assumed. 2. The first resurrection ever? The arguer asserts that other apparent resurrections, performed by Jesus or recorded in the Old Testament, are different to the alleged resurrection of Jesus because those people came back to an ordinary life, and had to die again later, whereas Jesus, christians claim, went forward into a new non-ordinary life and never died again. This is a fair understanding of christian belief, but it doesn’t really help the argument. The focus in this argument is people coming back to life, or being raised, not on what happens to them later. So God is reported to have raised other people from the dead, even though we can agree that there were differences with Jesus. This is probably the key to the argument, and the key to assessing it is that the argument assumes (for the sake of argument) that the christian God exists, and assesses on that assumption whether God would likely have raised Jesus. For this premise to be true, the way God acted towards Jesus would have to be similar to the way he acted previously in history, so the comparison can be made. And this of course is quite unsupportable. Christians believe Jesus was God’s chosen representative on earth, the son of God and Messiah. No-one else was that. We believe that the historical evidence is best explained by that being true. An example may help here. Mathematician Pierre de Fermat proposed his famous “last” theorem in 1637, and for 350 years no-one was able to prove or disprove it. One could therefore construct an argument that since none of the millions of people who lived since then could prove it, neither would a ten year old boy reading about Fermat’s Last Theorem in a library book. But it turned out that that boy, Andrew Wiles, became a gifted mathematician at Oxford University, and after almost a decade of work on it, produced a proof of the theorem. This example shows that probabilities based on people generally may not apply to gifted or extraordinary people. So with Jesus, we cannot simply ask how likely God is to resurrect “somebody”, but how likely God is to resurrect his son. So it is quite unlikely that God would act the same towards Jesus than towards anyone else, and that is clearly stated in the Bible. For example, Psalm 16:10: “you will not abandon me to the realm of the dead, nor will you let your faithful one see decay”. And in the New Testament, Jesus predicts his resurrection several times (e.g. Mark 8:31). This premise is quite unreasonable. It is clear that the conclusion isn’t at all certain, and this argument cannot be as “easy” as its proponent thought. A lot of argument has to be done to establish each of the premises and maintain them against critical assessment. The resurrection remains a “live” issue. And so the arguments will continue. Jeffery Lowder is an atheist, one of the founders of the Secular Web (Internet Infidels). He is well-known, and well respected, for assessing contentious questions in a very fair-minded manner. And he has considered the resurrection at length. His conclusions are worth reading. I think it is rational to both accept and reject the resurrection. I think there are strong historical arguments for the resurrection (a lá Craig), but I also think there are good reasons to reject such arguments. The resurrection cannot be so easily dispatched, nor can it be easily proven. Each person, believer and sceptic alike, has a dilemma to face if they want to be honest to the evidence. My personal view is similar to Jeffery Lowder’s, in this respect at least. If I disbelieved in God, I would doubt the resurrection. But since I believe, on the basis of other evidence, that God exists and Jesus was divine, I have no trouble believing in the resurrection. Indeed, I see it as an entirely appropriate act by God to conclude and give his stamp of approval on Jesus’ life and ministry. Christians will believe, atheists will disbelieve, but how should an agnostic assess the resurrection? It seems to me that the resurrection adds to the evidence for the authenticity of Jesus’ life and teachings, and hence to belief in the existence of God. Belief in God rests (I think) on cumulative evidence, and the historical evidence for the resurrection adds cumulative weight to that evidence, even though it doesn’t “prove” Jesus was divine on its own. 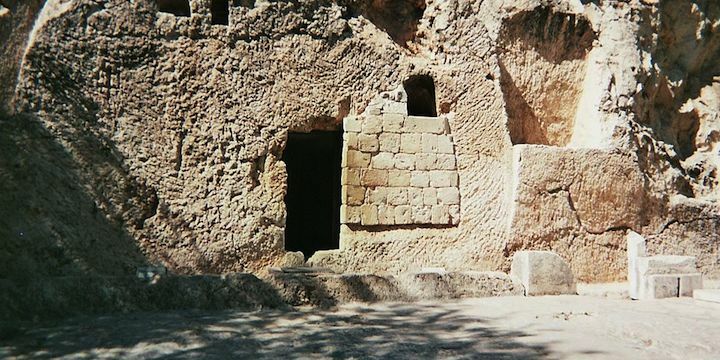 On this site: Was Jesus raised from the dead? and The resurrection of Jesus – a reason to believe? The Historicity of Jesus’ Resurrection. The Debate between Christians and Skeptics. Jeffery Jay Lowder (1995) on the Secular Web. My quotes came from the Conclusion. Evidence for the Resurrection of Christ by Peter Kreeft and Ronald Tacelli. William Lane Craig on the facts (5 min video) and The Resurrection of Jesus. Physicist Aron Wall on the resurrection and probabilities. Jesus – image of God?